Qgiv’s blog discusses fundraising tips, donation pages, and everything in between! Sometimes, we like to add a fresh perspective and voice to the conversation. Today we welcome Adam Weinger from Double the Donation who will discuss matching gifts. Picture this. You go to an ATM to take out twenty bucks. After putting in your PIN and clicking through the different options, you finally get the notification that your money is about to come out of the machine. As soon as you collect your twenty dollars and put the bill in your wallet, a person walks by and gives you another twenty dollars before continuing on their way. While this situation is unlikely to happen in real life, a parallel can be drawn between it and corporate matching gifts. Matching gifts are donations that some employers will make after an employee gives to an eligible nonprofit and submits a request to the employer. Your nonprofit’s job when it comes to matching gifts is to make sure that your donors know as much about them as possible. While you can’t force them to submit the requests to their employers, you can promote matching gifts to encourage your donors to look into doubling their contributions when you ask for donations. Check out these top ways to promote matching gifts online. For more information about matching gifts in general, take a look at this comprehensive guide from Double the Donation. Donor engagement is at its peak during the donation process. Supporters have clearly identified with your cause, and they care enough to give to your organization. Use this opportunity to market matching gifts to your donors! If you’re looking for other ways to give your online donations a boost, check out these tips! What better place to let donors know that they can possibly double their contributions than when they’re making that contribution? 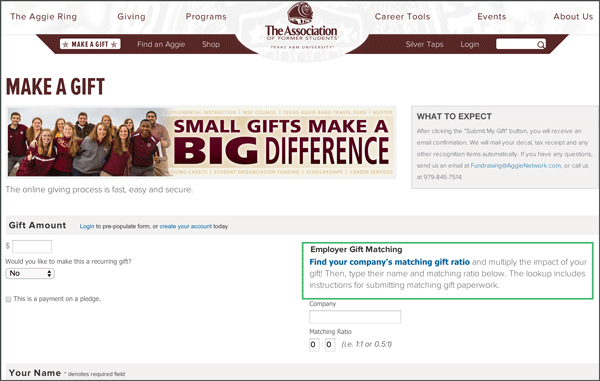 Texas A&M’s Association of Former Students offers a great example of marketing matching gifts on a donation page. They give donors a way to find out if their employers will match their contributions and then give them the option of submitting the ratio at which those donations will be matched. Adding information about matching gifts when donors are making their contributions is a great way to capture their attention and encourage them to look into the matching gift programs that their employers might offer. Whether they’re contributing to your capital campaign or want to give to your annual fund, your donation page is the place to highlight matching gifts! After donors make a contribution, they want to know right away that their donation was accepted without any problems. This is where acknowledgement pages come into play; they show donors that their gift was processed and gives them important information about their transaction. Acknowledgement pages are also good opportunities to remind donors that they might be able to double their donations. If they didn’t receive the information on the donation page, include similar matching gift prompts on the acknowledgement page. For instance, you could follow the lead of the Piedmont Foundation. They thank the individual for their contribution while also giving them the chance to see if their employer will match their donation with the help of a matching gift tool. It’s important to remember that acknowledgement pages should thank the donor for their contribution first. 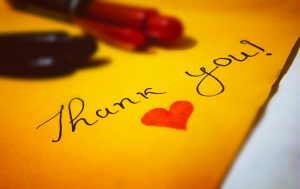 Giving donors information about matching gifts should come second to genuinely thanking them for their generosity. If your donors are looking for other opportunities to give to your organization, they will likely end up on your “Ways to Give” page. While the information you put on this page is up to your organization’s discretion, one option you should strongly consider including is matching gifts. Include general information like what matching gifts are and how the submission process works. You should also include some specifics if you can, like a list of the top companies in your area that match donations. Some donors might even be more likely to donate to your organization if they know that their employers will match their contributions! Marketing matching gifts on your “Ways to Give” page is one of the best ways to give supporters more information about potentially doubling their donations. 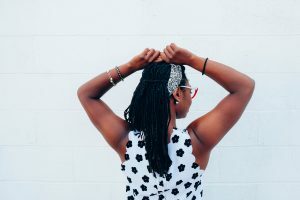 For more information about the different ways donors can give, take a look at the Ultimate Guide to Nonprofit Fundraising. If you want donors to have even more in-depth information about matching gifts and how they make their donations go even further, create a dedicated “Matching Gifts” page on your website. Having a dedicated “Matching Gifts” page will help give donors the information they need and the answers to any questions they might have. These ways to promote matching gifts online are by no means the only ones out there. 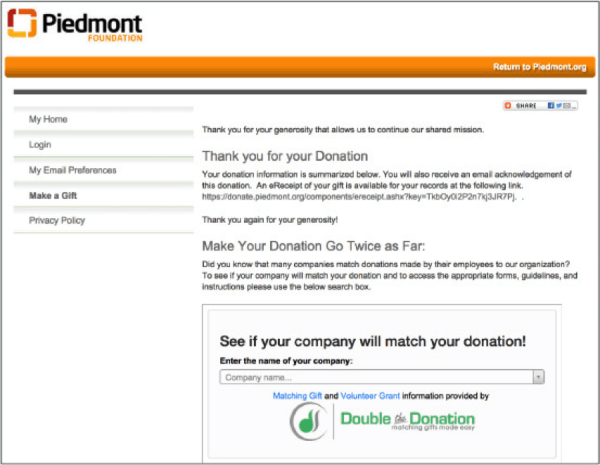 You can encourage donors to look into doubling their donations on nearly any type of communication that you send them. 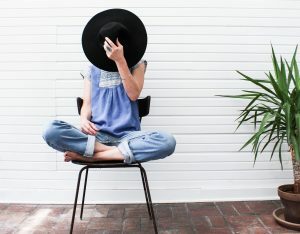 But by letting your supporters know about matching gifts in the donation process, on your “Ways to Give” page, and on a dedicated “Matching Gifts” page, you’ll definitely boost your chances of matching gift success. When you keep your donors as educated as possible about matching gifts, they are more likely to make those requests to their employers and double their contributions to your organization.